Silver Spring, Md. (Tuesday, May 22, 2018) To educate their peers on the dangers of distracted driving, Charlotte-Mecklenburg Schools high school seniors Kirklin “Mack” Hopkins (17) and Kellen Stadler (18) send a clear message: A single second can have life-long consequences. Their poignant video, titled “It’s Not Fine,” is the winner of the Toyota TeenDrive365 Video Challenge, a national driver safety public service announcement competition, using the tools of storytelling to get through to young drivers. More than 1,300 videos were submitted to the competition by students to help inspire safe driving habits and spark a national conversation about staying safe behind the wheel. “It’s Not Fine delivers a direct and powerful narrative that highlights the dangers of distracted driving and the ability of teens to encourage safe driving behavior,” said Mike Goss, Toyota Social Innovation. The video opens with Sarah riding in the vehicle as her older sister Ellie texts and drives. Sarah says, “Mom said not to.” Ellie says, “It’s fine. I do it all the time. It’s only for a second.” The video cuts to years later, with Sarah now old enough to drive and behind the wheel. Believing “it’s fine” to text and drive, Sarah follows her sister’s example, with devastating consequences. 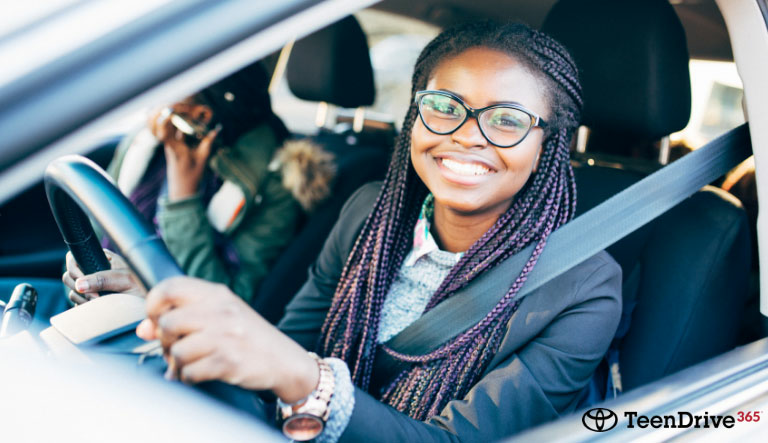 Toyota’s TeenDrive365 is a comprehensive program to provide educators, parents and teens with critical safe driving materials. The video challenge, now in its seventh year, has received thousands of inspirational submissions that have celebrated teen’s creativity, while elevating the critical goal of protecting teens on the road. The students were awarded $15,000 and the opportunity to transform their video into a TV-ready PSA. View the video here. Second Place: Porter Christensen, student at Pine View High School in Saint George, Utah will receive $10,000 for developing Stupid Stats. Third Place: Jake Wieners, an Agawam High School student from Agawam, Massachusetts will receive $7,500 for Don’t Blind Yourself. People’s Choice Winner: Michael Sivvianakis, an Old Rochester Regional High School student from Mattapoisett, Massachusetts was voted the People’s Choice winner. Sivvianakis will receive $7,500 – for the People’s Choice and top 10 finalist awards – and a behind-the-scenes trip to a Velocity network taping for Magic Won’t Help You. The additional six finalists will receive $2,500, and four regional winners from the Northeast, Midwest, South and West regions will receive $1,000. National and Regional Toyota TeenDrive365 Video Challenge finalists can be viewed here. Access all TeenDrive365 program resources and view finalist videos at TeenDrive365.com.